ASPHostPortal is the leading provider of Windows hosting and affordable Windows Server 2008 R2. Our price starts from $4.49 per month. Windows Server 2008 R2 is the most advanced Windows Server operating system yet, designed to power the next generation of networks, applications, and Web services. New virtualization tools, Web resources, management enhancements, and exciting Windows 7 integration help save time, reduce costs, and provide a platform for a dynamic and efficiently managed data center. Powerful tools such as IIS 7.5, increased efficiency and the ability to react to front-line business needs faster than ever before. 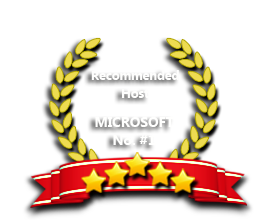 ASPHostPortal.com is proud to offer Windows Server 2008 R2 on our hosting environment. ASPHostPortal.com is focused on providing the best value in innovative Microsoft Windows hosting for Microsoft/ASP.NET developers. We work hard to be an early adopter of new Microsoft technology. Our team is proud to be one of the first hosts to launch the latest Windows 2008 R2 Hosting with IIS 8.5! The Windows 2008 R2 Hosting platform is ideal for developers that want to be on the cutting edge of new technology. On this new platform, we support the latest .NET Framework - ASP.NET 4.5.1. Try our FREE Trial Hosting with risk free, including a free automated installation in Windows Server 2008 R2 , to get you up and running quickly. Our Windows Cloud Hosting fully supports Windows Server 2008 R2 hosting. You are more than welcome to try our Free Windows Cloud Hosting before you decide to buy. You can get your Free Cloud Windows hosting account up and running within the next few minutes.